+ Coming Up in QST: Take a look at the October Issue! A fire that began on Monday, September 6 in Emerson Gulch located in Four Mile Canyon -- just northwest of Boulder, Colorado -- has members of Boulder County ARES® providing communications support to the Boulder County Sheriff's Office and the American Red Cross. According to a 911 call, the fire was started when a truck collided with a large propane tank. "Amateur Radio operators are located at the Red Cross shelter set up at the University of Colorado Event Center and also at the Boulder County Emergency Operations Center," ARRL Colorado Section Manager Jeff Ryan, K0RM, told the ARRL. 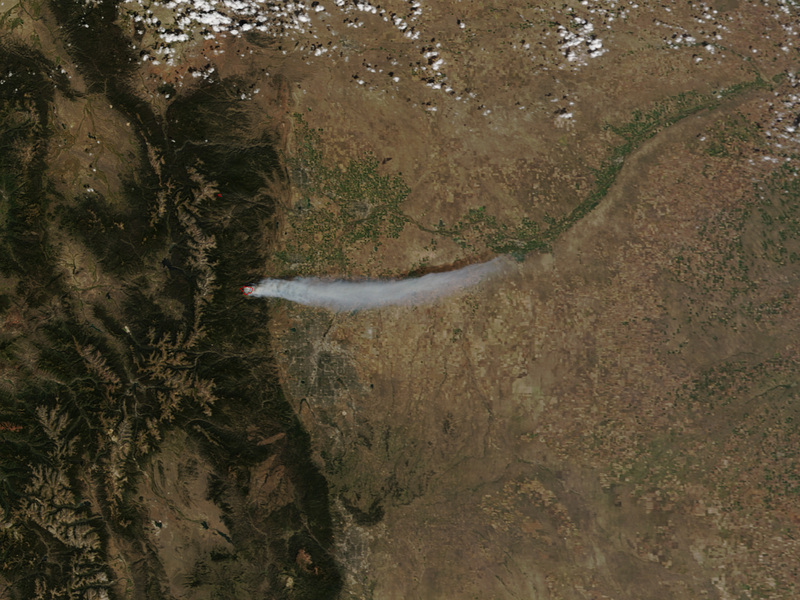 "Amateur Radio operators are providing voice and ATV communications between forward fire units, the Incident Command post and the Emergency Operations Center, as well as voice and packet communications for the Red Cross." Read more here. The 2010 Global Amateur Radio Emergency Communications Conference (GAREC) -- supported by the ARRL, the IARU and all three IARU Regions -- is scheduled for October 11-12 in Curacao. With its theme of Learning through Practicing, this year's conference is an opportunity for emergency communicators to discuss recent events, discover technical solutions to problems and how to cooperate with professional partners. One of the highlights of the 2010 conference will be an actual EmComm exercise during the conference, exploring how information sharing across borders can be improved. Read more here. The Recon Scout -- manufactured and marketed by ReconRobotics -- is a remote-controlled, maneuverable surveillance robot designed for use in areas that may be too hazardous for human entry. 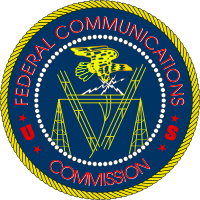 ReconRobotics was recently granted a waiver by the FCC for the device to operate between 430-448 MHz, a portion of spectrum available to the Amateur Radio Service on a secondary basis. As reported earlier, on August 16, ReconRobotics -- manufacturers and marketers of the Recon Scout, a remote-controlled, maneuverable surveillance robot designed for use in areas that may be too hazardous for human entry - filed with the FCC an opposition to the ARRL's Petition to Deny Applications. The ARRL petition asked the FCC to deny dozens of pending Public Safety Pool license applications for the Recon Scout device, which operates in the 430-448 MHz band. On September 1, the ARRL filed its reply (see below). Read more here. In June the FCC opened a proceeding -- WT Docket No. 10-119 -- "to simplify, streamline, and update the Part 95 rules to reflect technological advances and changes in the way the American public uses the various Personal Radio Services." 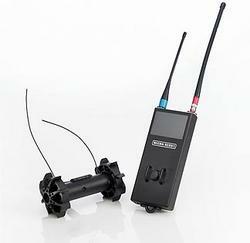 The Citizens Band (CB) Radio Service is one of several Personal Radio Services regulated by Part 95. Three of the CB-related issues raised in the Notice of Proposed Rule Making are of interest to the Amateur Radio Service. On September 3, the ARRL filed comments limited to these issues. Read more here. In May, as a partial implementation of its National Broadband Plan, the FCC adopted amendments to its rules for Wireless Communications Services in the 2.3 GHz band to permit mobile broadband services, in addition to fixed services, in the bands 2305-2317.5 and 2347.5-2360 MHz. The Report and Order in WT Docket No 07-293 was published in the Federal Register on August 2, 2010, triggering a 30 day window for petitions for reconsideration. On September 1 the ARRL filed a Petition for Clarification or Partial Reconsideration, asking the FCC to "clarify, or partially reconsider a single aspect" of its Report and Order. Read more here. In the October issue of QST, DX is! This issue is chock-full of articles all about DX, DXing and DXers. This issue -- our first-ever DX issue -- is jam-packed with all sorts of things that today's Amateur Radio operator needs. From product reviews to experiments to contesting -- including a look at one of the ARRL Homebrew Challenge winners and an abundance of articles relating to DXing -- the upcoming issue of QST has something for just about everyone. Located off the shore of Ontario in the southwestern portion of Hudson Bay -- only a few kilometers southeast of Manitoba -- East Pen Island is one of several uninhabited Canadian arctic islands in Nunavut, Canada. In April, Cezar Trifu, VE3LYC, reached East Pen (NA-231) via sled and activated the much-needed entity, making almost 2700 QSOs. But as the weather unexpectedly turned warmer, quickly thawing the ice, Trifu knew he was in trouble. "Stranded on East Pen: SOS de VY0V" is his nail-biting account of how he got VY0V on the air -- and himself off the island. Join Bill Vanderheide, N7OU, as he takes "Slow Boat to Tokelau," where just getting to this remote New Zealand territory is a story in itself. For less than $32, David W. Cripe, NM0S, built a 40 meter band 50 W linear amplifier for his 5 W voice and CW 40 meter transceiver that he built in the ARRL's first Homebrew Challenge, taking the prize (along with Donald W. Huff, W6JL) for the lowest cost entry in the ARRL's Homebrew Challenge II. Find out how to build this nifty amp in his article "Homebrew Challenge II Co-Winner -- The Lowest Cost Entry." ARRL News Editor S. Khrystyne Keane, K1SFA, writes of the ARRL Board of Directors 2010 Second Meeting, held in July in Windsor, Connecticut. She also profiles eight deserving hams whom the Board recognized and honored for their contributions to the Amateur Radio Service. ARRL's Amateur Radio on the International Space Station (ARISS) Program Manager Rosalie White, K1STO, takes a look at a Utah elementary school where a dedicated principal and an enthusiastic teacher sparked a fire of interest in Amateur Radio with their students, incorporating it into its curriculum in "ARISS Scores an A+ at Midvalley Elementary." Click here to go to the QST multimedia page. Scroll down to the Product Review video and watch a preview of what's coming up in the October issue of QST. The October issue of QST features three product reviews this month. Assistant Manager of ARRL's Membership and Volunteer Programs Department Norm Fusaro, W3IZ, takes a look at the RF Concepts Alpha 9500 linear amplifier. "The Alpha 9500 is worthy of its place at the top of the Alpha product line," he reports. "Once configured for your station, automatic tune-up is effortless and nearly instantaneous. It will operate at 1500 W output for long periods with no apparent effort and is ready to serve in the most demanding amateur applications." QST Contributing Editor Gary Pearce, KN4AQ, reviews the Yaesu FT-7900R dual band mobile transceiver, saying that this radio "includes excellent receiver performance, a wide range of features and relatively simple operation in a sturdy package." Lastly, ARRL Technical Advisor Bruce Prior, N7RR, checks out the Small Wonder Labs Retro-75 AM transceiver Kit, "an economical and fun alternative for anyone looking to build a low power transceiver for a mode other than CW." Of course, there are the usual columns you know and expect in the October QST: Happenings, Hints & Kinks, The Doctor Is IN, How's DX, Vintage Radio, Hamspeak and more. Look for your October issue of QST in your mailbox. QST is the official journal of ARRL, the national association for Amateur Radio. QST is just one of the many benefits of ARRL membership. To join or renew your ARRL membership, please see the ARRL Web page. When ARRL members log on to the ARRL Web site, their ARRL Section information automatically appears right below the "Your Favorites" drop-down menu. By clicking on the "Section News" link (see the red arrow below), you can then conveniently go directly to your Section page for news and events in your Section, as well as find contact information for your Section Manager and the Section Cabinet. ARRL members can immediately find out what's going on in their Section when they click on the "Section News" link, located directly under the "Your Favorites" drop-down menu. When your Section Manager has important news to share, you will see an alert on your homepage, located below the Section News. If you're looking to get in touch with your Section Manager or another Section official, go to www.arrl.org/sections where you can find Sections listed by state and by ARRL Division. You can sign up for news alerts from your Section Manager or Division Director using the "Edit Your Profile" link. 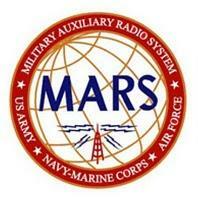 The Air Force Military Auxiliary Radio System (AFMARS) organization has a new interim Chief. Outgoing USAF MARS Chief Allen Eiermann, K3LSR, retired at the end of May and was replaced by Technical Sergeant Jason Sandifer. Sandifer is a systems manager stationed at the Air Force Network Integration Center (AFNIC) at Scott Air Force Base in Illinois, just outside St Louis, Missouri. AFNIC is the headquarters of the national Air Force MARS organization. Read more here. 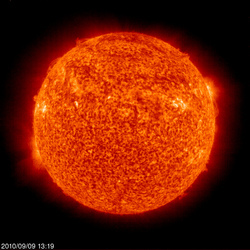 The Sun, as seen on Thursday, September 9, 2010 from NASA's SOHO Extreme Ultraviolet Imaging Telescope. This image was taken at 304 Angstrom; the bright material is at 60,000 to 80,000 Kelvin. Tad "The sultry suns of summer came" Cook, K7RA, reports: The average daily sunspot number for the week rose nearly 13 points to 38.3, and the average daily solar flux was up more than four points at 78.4. On September 2, one new sunspot group emerged -- numbered 1105 -- joining sunspot groups 1101, 1102 and 1103. On September 4, group 1102 faded away, then 1101 and 1103 vanished on September 6. Group 1105 is currently going over the western side of the Sun, but a new spot seems to be emerging in the northeast. The current prediction from the US Air Force and NOAA shows a rising solar flux, 76 on September 9-10, 77 on September 11, 78 on September 12-13, 79 on September 14-15 and peaking at 80 on September 16. After that, a decline in solar flux is predicted. Look for more information on the ARRL Web site on Friday, September 10. For more information concerning radio propagation, visit the ARRL Technical Information Service Propagation page. This week's "Tad Cookism" is brought to you by Robert Burns' John Barleycorn. The front of the new ARES® 75th Anniversary Challenge Coin. This month, the ARRL and the Amateur Radio community celebrate the 75th anniversary of the Amateur Radio Emergency Service®, or ARES®. To help commemorate this milestone, the ARRL has introduced an anniversary Challenge Coin. The die-struck, 1.5 inch brass coin depicts the ARES® 75th anniversary logo in gold with red, white and blue color fill, while the reverse shows the ARRL diamond logo against a hemisphere of the world. ARRL Emergency Preparedness and Response Manager Mike Corey, W5MPC, holds the new ARES® 75th Anniversary Challenge Coin. Around the perimeter of the ARES® logo are the words Ready, Resilient and Responsive. "These words represent the critical need that ARES® activities have provided, and will continue to provide into the future," said ARRL Emergency Preparedness and Response Manager Mike Corey, W5MPC. "The Challenge Coin honors the service of ARES® volunteers and all Amateur Radio operators who respond to the call of public service. 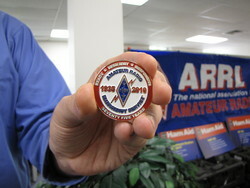 We hope ARES® volunteers will enjoy the honor of having the first Challenge Coin issued by the ARRL." Read more here. All dates, unless otherwise stated, are UTC. See the ARRL Contest Branch page, the ARRL Contest Update and the WA7BNM Contest Calendar for more info. Looking for a Special Event station? Be sure to check out the ARRL Special Events Station Web page. Join or Renew Today! ARRL membership includes QST , Amateur Radio's most popular and informative journal, delivered to your mailbox each month. Subscribe to NCJ -- the National Contest Journal . Published bimonthly, features articles by top contesters, letters, hints, statistics, scores, NA Sprint and QSO Parties. Subscribe to QEX -- A Forum for Communications Experimenters. Published bimonthly, features technical articles, construction projects, columns and other items of interest to radio amateurs and communications professionals.